I do so like that rope basket. I think I might be able to try my hand at this - I did basket weaving with my sister before! Ha! 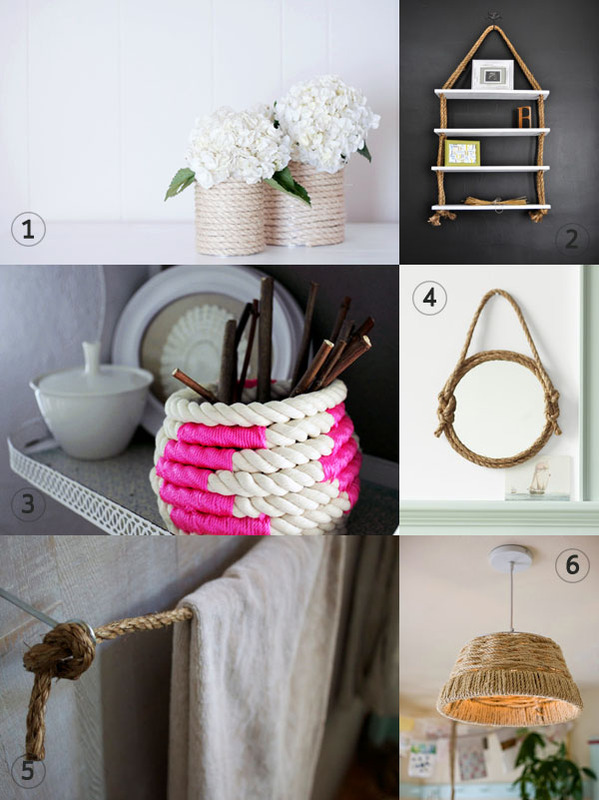 I love that rope door stop so much, but I never though to track down other rope items! I agree, you could totally DIY something to your liking, after all you are the queen of DIY. That rope towel rack looks awesome. I love how rope makes everything look instantly nautical and cottage-y. I'd go for the door stop or vases or something, but knowing my dog he'd think it was just another chew toy! That rope lighting at the top is BEAUTIFUL! 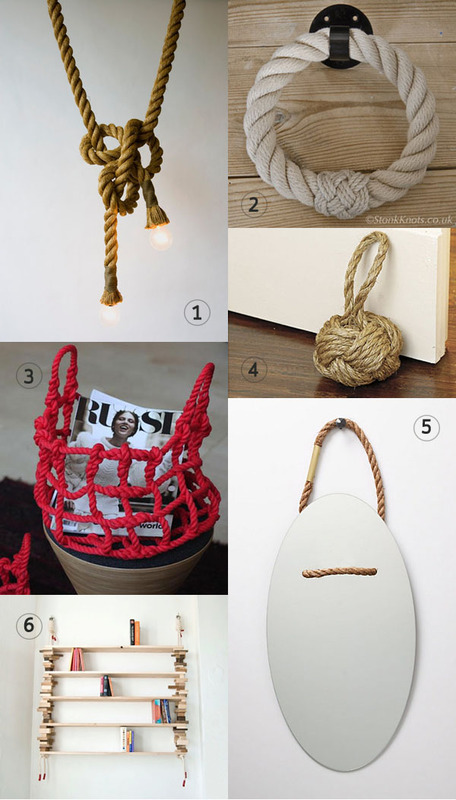 So funny, my eye was just drawn to that rope door stop at Ballard Design too! We are surrounded by water here where I live so rope makes a lot of sense in decor, but you don't want to go overboard, you know? Something like the door stop or the knocker would be perfect. Wow, never gave knots much consideration until I saw this roundup. I just know there is some clever way I can incorporate this look into our home. so I was just about to type that I like the rope bag best, but 300 bucks is crazy for this tiny bag. The rope basket is pretty cool, too - especially with the pink pop color.